This is an update of [Tips] Import Java and applies to version 6.2 or later. 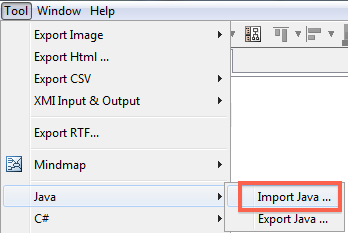 While it is importing, you may be asked how you want to import Attributes. (3) If import completes successfully, Packages, classes, attributes, operations and associations are generated and appear in the Structure Tree. 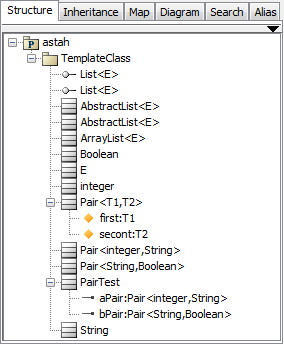 (4) Now you want to generate a Class diagram from them. 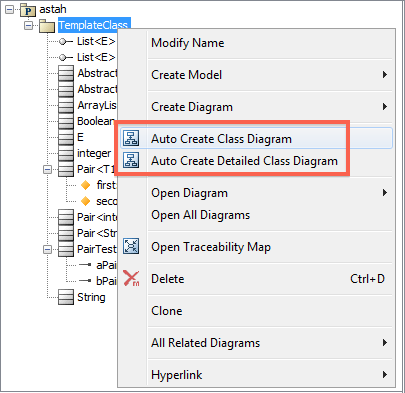 So select a package on the structure tree, and then select either: [Auto Create Class Diagram] or [Auto Create Detailed Class Diagram] from its Pop-up menu. 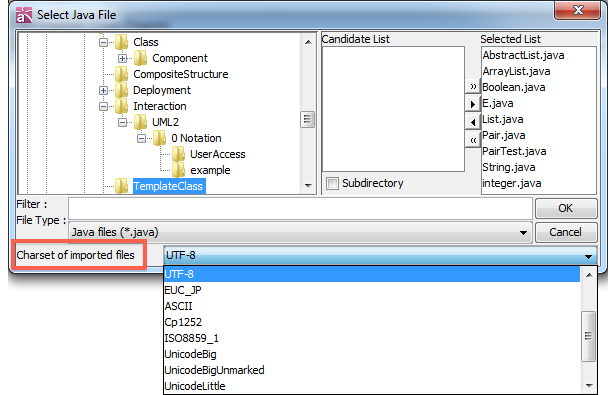 You could also give the netbeans UML modeller a try. I have used it to generate javacode that I used in my eclipse projects. You can even import eclipse projects in netbeans and keep the eclipse settings synced with the netbeans project settings. I tried several UML modellers for eclipse and wasn't satisfied with them. They were either unstable, complicated or just plain ugly.